COM. 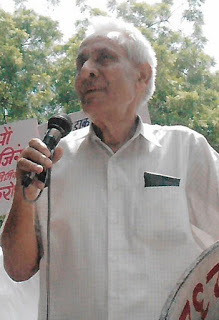 G.L.DHAR EX GENERAL SECRETARY COC DELHI STATE AND EX SECRETARY GENERAL CENTRAL SECRETARIAT NON GAZETTED EMPLOYEES AND STANDING COMMITTEE MEMBER OF JCM EXPIRED TODAY (06-06-2018). ON BEHALF OF P-III CHQ WE CONVEY OUR HEARTFELT CONDOLENCES TO HIS BEREAVED FAMILY MEMBERS AND ALL COMRADES OF AITUC.